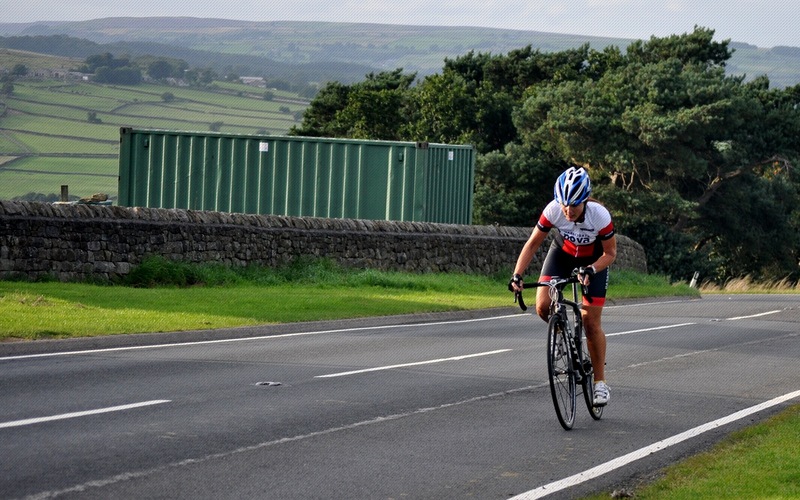 Event 14 of the Beech House Dental Practice Evening TT League took riders back to the ‘old faithful’ Arkendale Lane End-Walshford (V212) 10-mile course. 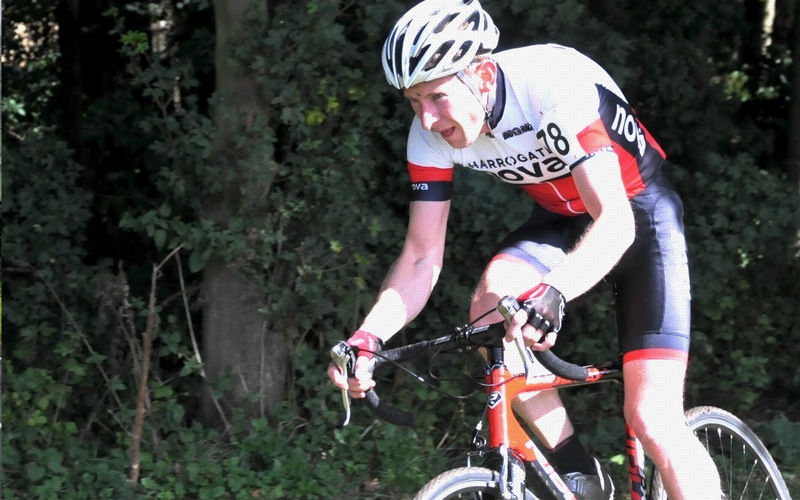 In the men’s event, Fraser Rounds (Chevin Cycles.com Trek) stunned the field to win with a time of 21:45. 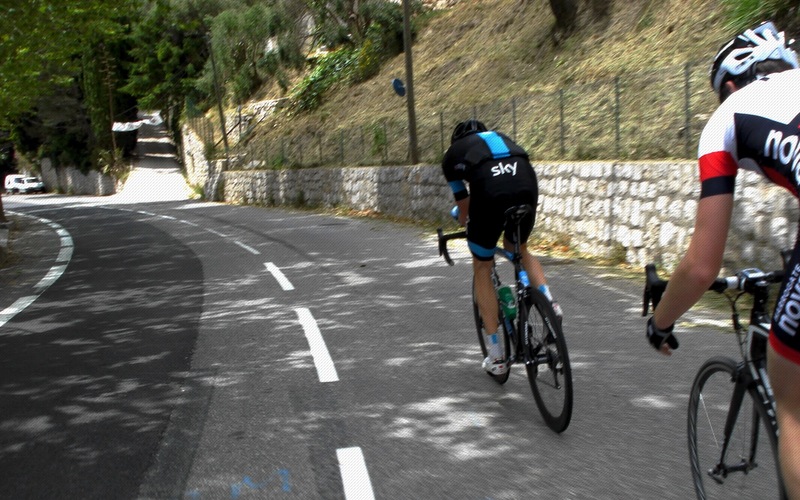 Fraser is no stranger to high level performance, having recently finished fourth in his age group at the 2015 Triathlon European Championships in Geneva, recording the fastest bike leg in a world class field. Duncan Mullier was the best of the rest on the night with 22:02, with Dylan Flesher recording 22:15 for another Junior League Course record. Simon Cave stopped the clock at 22:28 with Al Mitchell in 5th with 22:47. 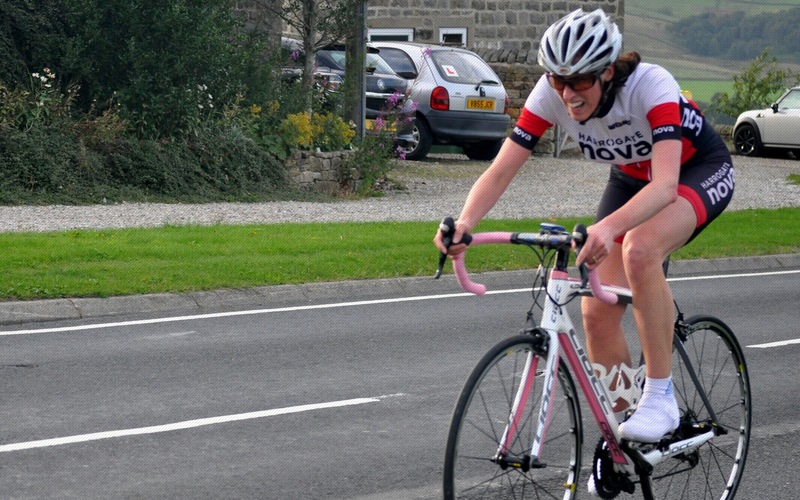 In the ladies event, Jess Bacon, York Cycleworks, lowered her own League Course record with a time of 23:53. Ele Haresign took second place with 24:18, with Corrine Micthell in third with 25:50. Corrine’s time set a new benchmark for the Lady-Veteran League Course record. Tim Jarvis was the quickest of the Vet-50s with 23:36. Tony Kent, in a rare League appearance, was the highest placed Vet-60 (25:15) with super Vet-70 Walter Wilkinson just behind (25:24). Ride of the night was by Fraser’s Chevin Cycles team mate Josh Gardner, who recorded the sixth fastest time of 23:06 on a road bike with clip-on tri-bars, beating many TT specialists in the process. A trio of Nova members travelled to Kippax on Wednesday night to take part in the final round of the Yorkshire Cyclo-Cross Association Summer CX series. With participants best seven results to count from the ten events, league points were greatly sought after, and 180 riders took part in the racing. Tim Evans claimed a great fifth place in the Vet-50 competition; Richard Hamilton was 8th in the Vet-40 competition and Ted Sarmiento 31st Vet-40 on the night. Overall series standings – Vet-40 competition: Richard Hamilton 7th and Ted Sarmiento 20th. Vet-50 competition: Tim Evans 8th, Andy Holgate 16th and Nick Mason 19th. The winter CX season is just around the corner with racing starting in early September. 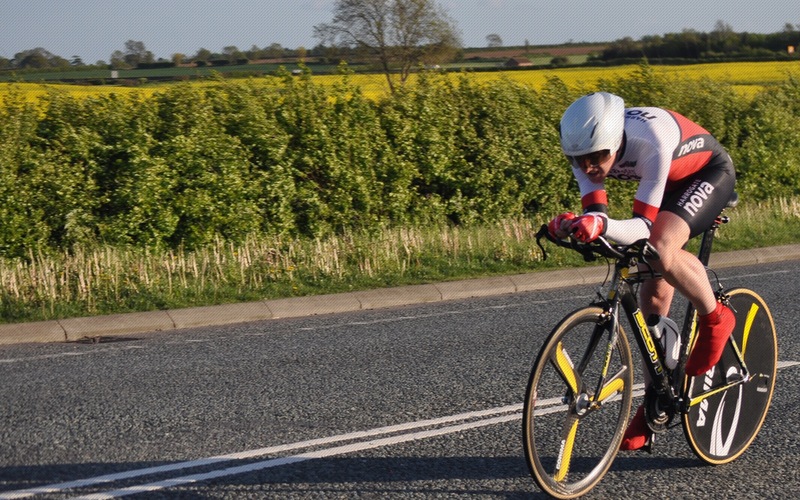 In Open Time Trials, Richard Hamilton was in action at the Drighlington BC 25-mile TT on the Sinderby-Leeming (V237) course, recording a time of 57:58 to take 19th place. 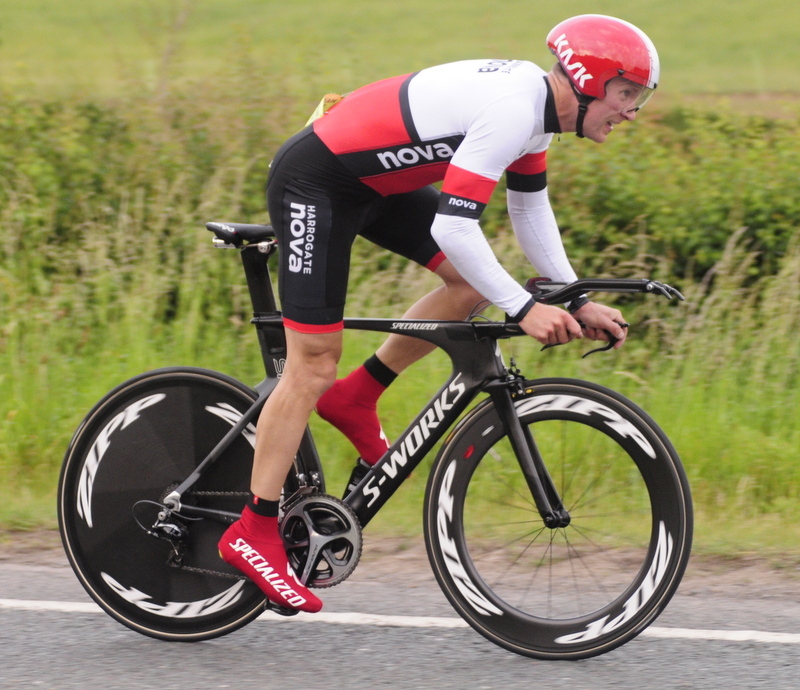 Roger Bromiley, in only his second open TT of the season, clocked 59:19 to finish 30th. 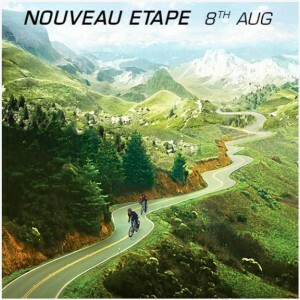 The event was won in a time of 52:50 by Mark Thaxter (HD Revolutions), who was able to make the most of the drying conditions as one of the later starters in the field of 90 riders. 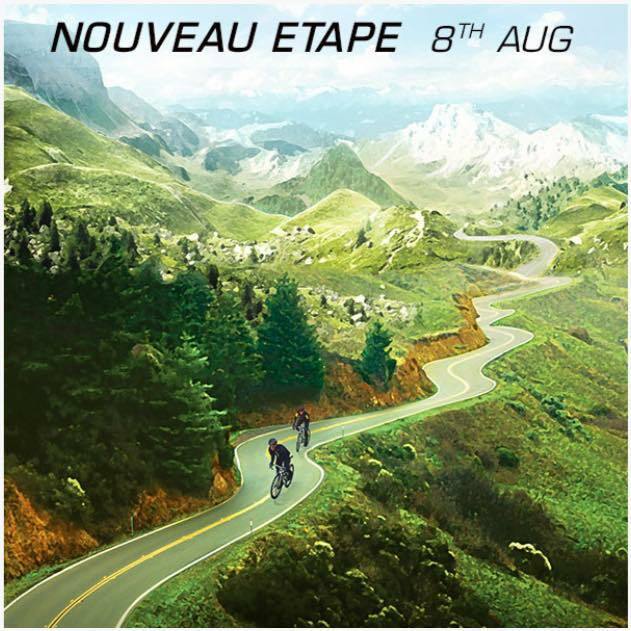 In Sportives, Derek Irving recorded the second fastest finishing time at the Velo29 Nouveau Etape Tour of the Pennines, recording 4 hours and 34 minutes for the 80 mile route which included 8,245 feet of climbing. 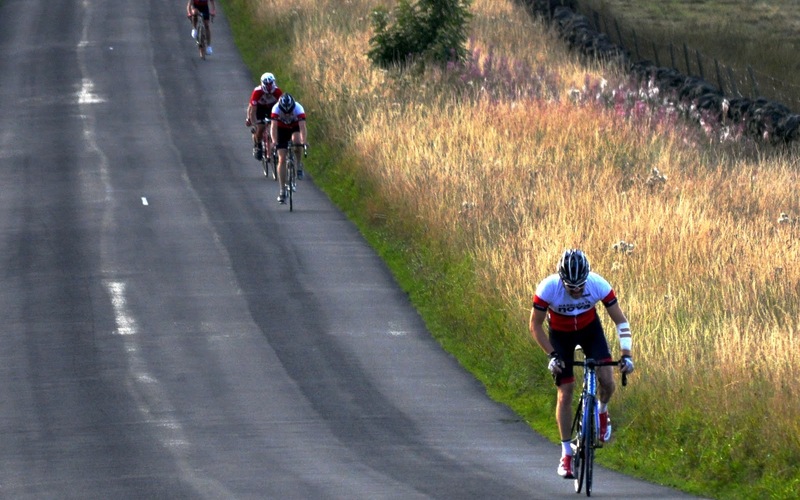 Based from Barnard Castle, the new event took participants along picturesque little ridden roads through Hamsterley Forest, Stanhope, Blanchland, Unthank Bank and Bollihope. 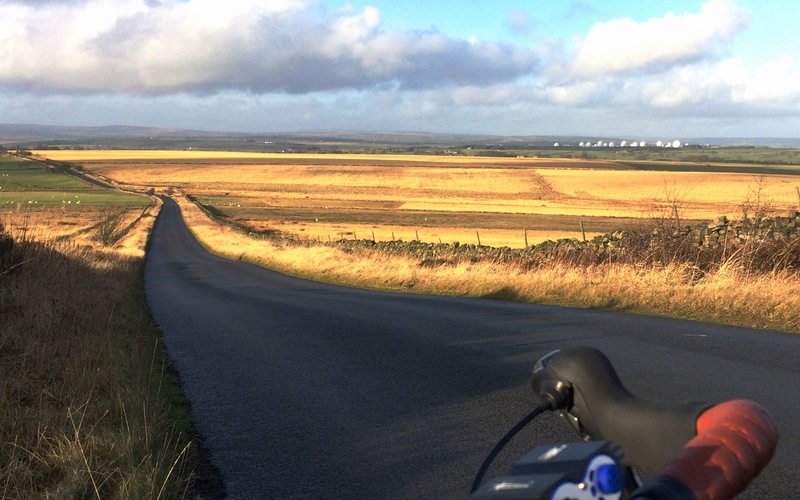 Meanwhile Duncan Glover recorded a gold standard time of 6 hours and 20 minutes for completing the 103 miles and 5,000 feet of climbing at the Wiggle Yorkshire Tour. 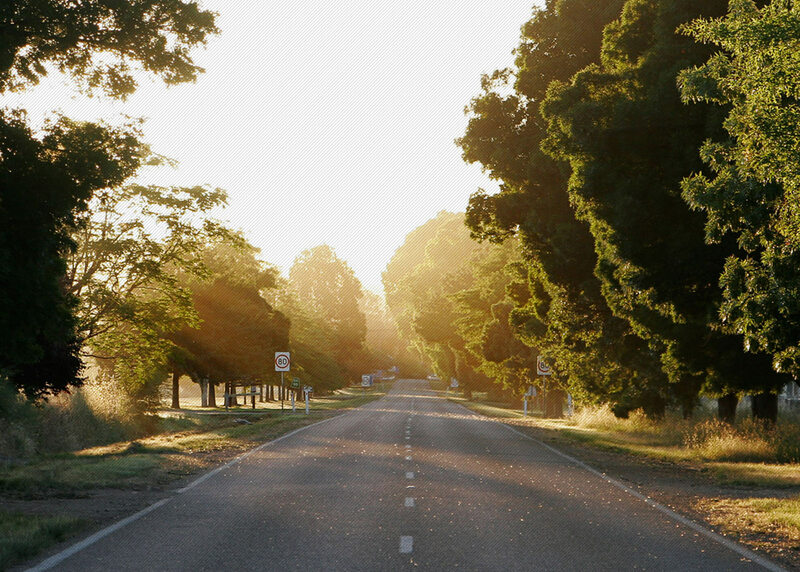 Starting from Thirsk Racecourse, and heading north on rolling roads, the route went through Leeming Bar, before turning west towards the moors. Riders dropped into Leyburn and Wensleydale, then Swaledale, passing through Reeth then the challenging climb up on to Summer Lodge Moor. Tackling the technical descent into Askrigg, the route then headed back to Thirsk via Aysgarth Falls.